There are also accidental punctures but those are not usually covered. An ounce of prevention is worth a pound of claims. After a pipe bursts the sooner the water is shut off the less damage is done. AIG has put together a list of water shut-off devices, pre-approved for a discount, that will detect a sudden leak and shut off the water. Some of these devices will also detect a slow leak which is important because like accidental punctures, it is not usually covered under most homeowner policies. Cold weather can cause serious issues when it affects the water supply pipes in your home. Although cold temperatures generally cause things to contract, ice has more volume than water so instead it expands in volume by nine percent. If the water pipes in a home freeze the pressure can build up until the pipe ruptures at a weak joint or right out the side of the pipe wall. That's when the plumbers, water mediation specialists, and remodelers are called in. When pipes freeze and then thaw it can result in multiple frozen rooms, or septic system woes. New construction isn't safe from freezing pipes and areas that don't normally get prolonged freezing weather such as east Texas can be especially vulnerable. CPVC & PVC are more flexible than copper and thus can withstand more pressure but are not immune to it as this study on freezing shows quite dramatically. AIG has an informational flyer you can send to your clients to help them avoid becoming a victim of a frozen pipe rupture. If water pipes aren't secured, they can sometimes move around inside the walls whenever water is suddenly turned on or off, usually by a toilet, dishwasher or washing machine. If you've ever heard pipes clanging inside walls or floors, it's called water hammer. The pipes move back and forth and gradually can weaken joints until one fails and allows pressurized water to escape. The resulting damage can be catastrophic and expensive. 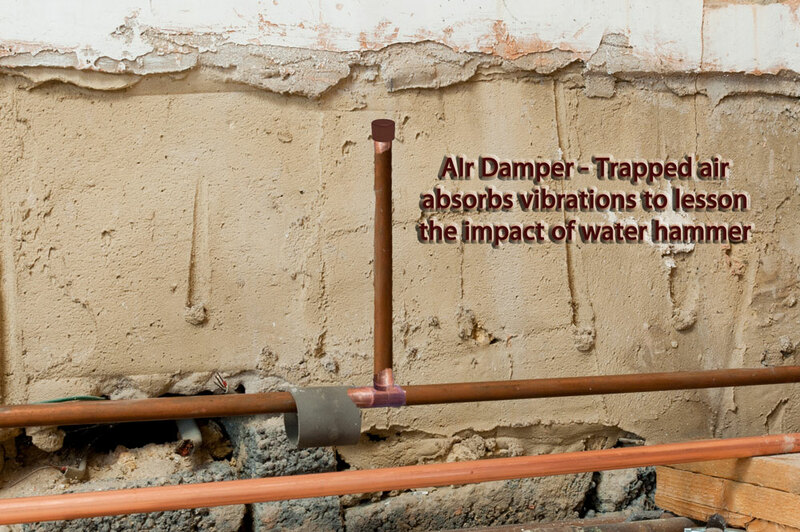 In most home plumbing air chambers called dampers are deliberately added to absorb the shockwave but over time the air is absorbed into the water. The cheapest fix is to restore the air in the dampers by shutting off the water and draining the system by opening spigots at the lowest and highest points, then closing the spigots and turning back on the water. Other fixes involve installing slower closing valves or lowering the water pressure. A significant increase in the water pressure can lead to a burst pipe or a failed plumbing fixture such as a faucet or toilet. As pressure increases, the pipes won't be able to contain it, causing a rupture. Ironically a leaking faucet or toilet may have been caused by high pressure but is allowing the excess pressure to bleed off. Once fixed the excess pressure looks for the next weak spot. If a series of water valves fail in succession check the water pressure by attaching a pressure gauge to a sink spout and turning on the faucet. The water pressure in most homes is between 40-50 psi and should not usually exceed 60 psi. If the water pressure is too high, a plumber can install, or more likely replace a pressure reducing valve or an expansion tank to keep it at safer levels. Just replacing the leaking valves without correcting the excess pressure only increases the likelihood that the next rupture will be mid-pipe and probably behind a wall or ceiling. Pipes are meant to last a long time, and the vast majority of them provide many decades of reliable service. However, that doesn't mean pipes will last indefinitely. Sometimes years of slow building corrosion will cause a pipe to fail. Corrosion can be caused by a pH imbalance in the water, a minor issue at first that over time becomes more and takes its toll on water pipes. If you have hard water and your water supply pipes are made of galvanized iron, the minerals inside the water slowly wear down the galvanized coating (which itself can cause dangerous lead poisoning) and expose the iron pipe beneath. In time, the iron turns to rust (iron oxide) and gradually narrows the diameter of the pipe so that water can barely get through the pipe. 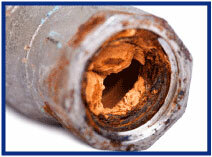 Your pipe may burst, or it may just close itself off and prohibit water flow altogether. Insurbanc CEO Bob Pettinicchi recently sat down with Insurance Business America to discuss how important it is for agency owners to invest in the future in order to be successful in today's market. According to the article, agency owners should be considering acquisitions and investing in technology or people if they truly want to expand. Technology can help agencies streamline their internal process, increasing efficiency, and cutting expenditures. In order to do this, agencies must find a bank to finance these projects. The best way to secure financing is to look for a bank that understands agencies' finances and needs. Have you checked out the photo blog Dronestagram? This online community collects and publishes artistic drone photography. National Geographic recently reported on the fourth annual international Dronestagram contest, which recognizes outstanding drone photos in this emerging field. The first prize winner in the nature category offers a stunning aerial view of a lavender field in Provence. If you have a moment, view this gallery showcasing the top three winners and additional finalists in each category: Nature, People, Urban and Creativity. Those who operate a drone for hire or pay a drone operator to provide services for their business may be eligible for drone coverage under a Home Business Insurance policy from RLI, which includes coverage for designated unmanned aerial vehicles (UAVs) with a maximum gross take-off weight (MGTOW) of 55 pounds. Most UAVs will fall into our light category with a MGTOW of up to 15 pounds. At the $1 million liability limit, anticipate per light UAV liability charges of $500 for full coverage and $350 where personal and advertising injury is not permitted. RLI now offers drone coverage for owners who use their drones in one of our 140 eligible business classes. The most common eligible commercial uses are real estate photography, wedding and family photography, home inspections and business who provide drone services/unmanned aerial photography to others. Owned drones can be included in business personal property coverage on a specified perils basis. This does not include crashes or lost drones but it does cover theft, fire and other specified physical damage. 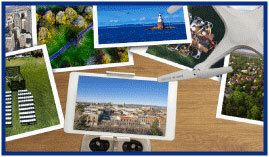 Rating for business personal property including UAVs is subject to our normal class rating plan. 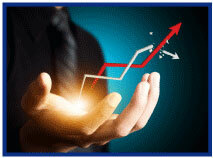 RLI is a specialty insurance company serving niche or underserved markets. Our proven, superior underwriting model creates flexibility to write unique coverages in a wide array of diverse industries. At RLI, we streamline processes, eliminate red tape and put decision-making in the hands of our expert underwriters, giving them the resources and freedom to drive growth so producers can quickly and easily get customers the coverages they need. Congratulations to this week's winners (Only the first three got all the questions correct)- Katie Vaughan (TX), James Stephenson (IA), Cheryl Sedich (CT), Kathy Lamm (IL), & Linda Worthy (SC). Congratulations to our agent in New Hampshire on an Eagle Express sale of $6,268 in premium!